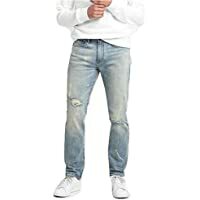 Get Gap Cone Denim Destructed Jeans in Slim Fit with GapFlex from Gap.com. Discount : 40% via coupon "BRANDNEW"
: 20% via coupon "PERK"
Checkout discounted Gap.com gift cards for additional savings. **eDealinfo.com may earn commission via affiliate links and/or ads on this page. The price & discount(s) (if any) are valid at the time of post. Price Comparison provided above is as on 01/11/2019. Shipping cost (if any) is based on shipment to our office location. Please double check the shipping & final price on the merchant website before placing any orders. Purchasing a discounted gift card avails you savings at Gap.com for your popular products. eDealinfo.com is a fully dedicated online deals and coupons website for bargain hunters. Our team of dynamic business experts scour the net round the clock to bring 250+ daily deals and offers on various products and services from reputable merchants. Most deals are like or better than what you'd find on a Thanksgiving, Black Friday, Cyber Monday, Green Monday and Christmas. We also have a huge selection of discount coupons, promo codes and promotional offers for over 15,000 merchants. Disclosure: The products, banners and offers that appear on this site are from merchants with whom eDealinfo.com has affiliate relationships. eDealinfo.com may receive some form of compensation through an arrangement it has with a third party if you (i) click on certain ads or links on our websites, apps, emails or newsletters, or (ii) purchase a product or service after clicking a link. © Copyright 2019 eDealinfo USA Inc. All Rights Reserved.